Being able to remain focused and maintain mental clarity throughout the work day is important for efficient work performance and overall well-being. Therefore, many people are concerned about how to improve mental clarity at work. Vitamin DAccording to Dr. Andre Schmidt and fellow researchers at the University of Basel in Switzerland, green tea extract helps improve brain cell function and in doing so supports memory, concentration, energy, and mental clarity , all of which help people remain focused throughout the day. A good source of green tea extract is tea, so consider having a cup of hot or iced green tea with your breakfast for a boost in mental clarity. In addition, Dr. Chan from the Center for Cell Neurobiology and Neurodegeneration Research at the University of Massachusetts describes a clinical study that involved giving healthy adults, both men and women, a combination of vitamin B12, E, N-acetyl cysteine, and Acetyl-L-carnitine. The study showed that taking these supplements promoted improved memory, mental performance, and the ability to complete tasks . A decline in mental clarity and performance was experienced when the individuals stopped the supplementation, but improvements were observed when they started taking the supplements again. Omega-3 fatty acids are especially helpful at supporting energy, mood, memory function, and mental clarity, according to Dr. Freemantle of the Research Centre on Aging at the University of Sherbrooke . This is mostly due to one particularly essential omega-3 fatty acid called docosahexanoic acid (DHA). DHA supports the health of the brain by helping to protect its cells from damage, and adequate amounts of DHA are especially important for nerve cells in the brain [4, 5]. Studies have even shown that DHA levels are normally high in areas of the brain that play a role in memory and concentration [4, 6]. 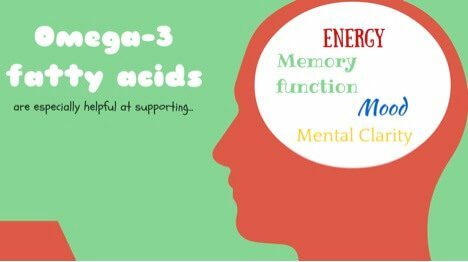 Therefore, if you frequently become mentally fatigued throughout the day, the levels of DHA in your body may be slightly low. Dr. Welma Stonehouse from the Institute of Food at Massey University has also demonstrated through a clinical study that increasing the daily intake of DHA supports memory function in people of all ages . In addition, omega-3 fatty acid supplementation can also help the body maintain adequate levels of vitamin D, which helps support energy levels and daily functioning [7, 8]. 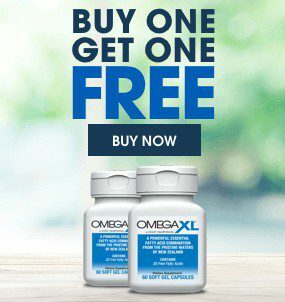 In other words, you are less likely to become fatigued throughout the workday by adding omega-3 fatty acids to your daily diet. Simple strategies such as exercising for at least 20 minutes also have the ability to boost mental clarity. In particular, exercises that include swimming, walking or cycling, followed by cooling down, can improve memory, concentration, and functional capacity, which refers to the ability to complete activities and tasks effectively [9, 10]. Imaging technology has been used to visualize brain activity while people are exercising. The results have revealed heightened activity in areas of the brain that help people remain focused on a task until it is complete . According to Dr. Jaap Oosterlaan and his fellow researchers in the Department of Clinical Neuropsychology at the University of Amsterdam, regular exercise, even for brief periods, increases blood flow to the brain, thereby enhancing mental focus and concentration . The results of these types of studies have also shown that exercising about 20 minutes before taking an exam or giving a speech leads to better performance. Therefore, exercising early in the morning before going to work can help improve mental clarity and work performance. So, if you are wondering how to improve mental clarity at work, think about adding one or more of the supplements described above to your diet and try engaging in regular exercise. 1. Schmidt A, Hammann F, Wölnerhanssen B, Meyer-Gerspach AC, Drewe J, Beglinger C, Borgwardt S. Green tea extract enhances parieto-frontal connectivity during working memory processing. Psychopharmacology (Berl). 2014. 231(19):3879-88. 2. Chan A, Remington R, Kotyla E, Lepore A, Zemianek J, Shea TB. A vitamin/nutriceutical formulation improves memory and cognitive performance in community-dwelling adults without dementia. J Nutr Health Aging. 2010. 14(3):224-30. 3. Freemantle E, Vandal M, Tremblay-Mercier J, Tremblay S, Blachère JC, Bégin ME, Brenna JT, Windust A, Cunnane SC. Omega-3 fatty acids, energy substrates, and brain function during aging. Prostaglandins Leukot Essent Fatty Acids. 2006. 75(3):213-20. 4. Pottala JV, Yaffe K, Robinson JG, Espeland MA, Wallace R, Harris WS. Higher RBC EPA + DHA corresponds with larger total brain and hippocampal volumes: WHIMS-MRI Study. Neurology. 2014. 82(5):435-442. 5. Chang CY, Ke DS, Chen JY. Essential fatty acids and human brain. Acta neurologica Taiwanica. 2009. 18(4):231-241. 7. Hansen AL, Dahl L, Olson G, Thornton D, Graff IE, Frøyland L, Thayer JF, Pallesen S. Fish consumption, sleep, daily functioning, and heart rate variability. J Clin Sleep Med. 2014. 10(5):567-75. 8. Cherniack EP, Troen BR, Florez HJ, Roos BA, Levis S. Some new food for thought: the role of vitamin D in the mental health of older adults. Curr Psychiatry Rep. 2009. 11(1):12-9.